Finally City’s Vice Chairman has appeared but, in view of two weeks of fan unrest over the Membership Scheme, Ehab Allam’s open letter to fans in Saturday’s match programme was quite simply too little too late. Still, we thought we’d pen an open letter in response . . .
Ehab, we’d first like to repeat our sincere best wishes to you and your father Assem in light of his recent illness, as well as our hope that he makes a full and swift recovery. Nonetheless, we wanted to respond to your open letter regarding the Membership Scheme. You have still not acknowledged receipt of our letter dated 3rd May seeking clarification over irregularities in the Scheme’s terms and conditions, let alone replied. It is, however, interesting to note that you felt the need to defend the terms and conditions in your letter. You say that 6000 fans have joined the Scheme; this is not a surprise as fans had to make a decision by the end of last week to retain their seats, despite a moral dilemma, knowing many thousands of other fans were adversely affected and in some cases priced out all together. Our survey of supporters found 45% of fans were very unlikely to renew; a figure which appears accurate. You state in your letter that the Membership Scheme “can make football more affordable for the vast majority of fans”. This is simply not true; the complete removal of concessions along with the pricing of tickets in some of the zones ensures that thousands lose out and many of those can’t afford to renew. Yes, the zone 1 tickets are reasonably priced, but there are too few of these to make watching City affordable for many supporters. 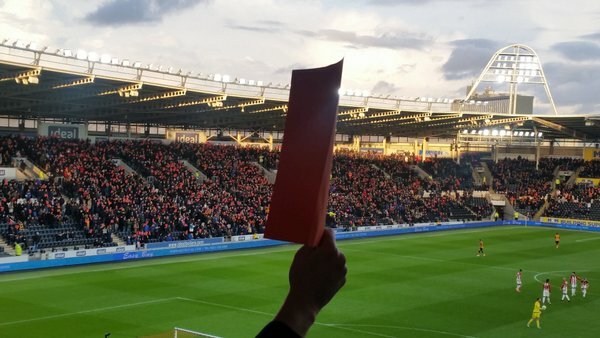 Social media over the weekend was full of people saying that, sadly, Rotherham was their last City game. Many of these were families with children. It’s absurd that you are trying so hard to drive support away, particularly the youngsters; our next generation of supporters. Just what do you hope to achieve with this crusade against the fans? In your letter you also say that ‘fraudulent ticketing’ is at 14%. This seems deliberately misleading; the previous claim made to fans by your staff was that a similar percentage of concession tickets are used by adults, which amounts to a few hundred tickets rather than 14% of the entire crowd. How you are able to measure this, yet are unable to identify and deal with the offenders also needs explaining. It was entirely the decision of you and your father to get rid of the turnstile and stewarding staff. If the result of that is a few hundred adults using concession tickets, that is also your responsibility, and to punish all children and seniors by hiking their costs is quite simply a ridiculous way of dealing with it, apart from being morally reprehensible. It also won’t work, because if people really are determined to get in on a fraudulent basis, they could just buy a Zone 1 ticket and sit elsewhere. How do you propose to prevent this? Other clubs have had automated turnstiles for years yet seem to manage without scrapping concessions. Perhaps their tickets aren’t priced so prohibitively as to drive fans to such desperate measures in order to see their team. Had you attended any home games this season, Ehab, you would have noticed the constant of 8000 empty home seats. That’s what you’ve achieved in the last three years. You have driven thousands of fans away through increasingly high prices, and by consistently ignoring the views of your ‘customers’. Apart from addressing the problem of fraud, the other key objective given to the Fans Working Group when the membership scheme was first presented was to improve the atmosphere. Your solution won’t achieve either objective; closing the West Upper stand won’t improve the atmosphere. It’s a ridiculous idea to try and concentrate a small crowd into a smaller space rather than focusing on filling the ground as a club of our size and current position should easily be able to do. We have filled the ground even when we were in Division 3, and it’s not so long ago that we were talking about having to expand the stadium due to demand. There’s still time to stop this rot but if only you swallow your pride and listen to the supporters. If you continue to ignore what’s happening this situation is only going to continue getting worse. In recent times, the legacy that your father has always been keen to leave has been tarnished. Taking the simple step now to genuinely consult with fans can stop that. Once again we call on you to meet with supporters to discuss their concerns with the scheme, rather than hiding behind vague and misleading statements. Spot on but don’t hold your breath. Great letter,but he can’t be seen to loose face over this. Unfortunately it’s the culture v what’s sensible!! Spot on comments. Proper club owners value their supporters’ opinions. It took minimal protest by Liverpool fans at 1 match to get a reversal of a price increase which was only going to affect a few. This scheme affects the majority and we’ve been railing against it for weeks; but there’s still no climb down. A measured and well constructed letter. The club must not rely on a statement in the Programme but embark on a proper dialogue. If Ehab Allm thinks the scheme is sensible then I say come forward and defend it in person, not through the Yorkshire Post. After 50 unbroken years supporting my club I find it so depressing things have come to this. On top of this indefensible membership scheme let’s not forget the decision to end cash turnstiles. Invthe end common sense must prevail. I hate what is happening but no one will stop my regular attendance aty club. I wrote to Ehab Allam on the cash turnstile issue a couple of months ago. At least he’s consistent – I got no response. FOR THE REST, THE MANDATORY GATE STEWARDS COULD MONITOR ACCESS. WHEN ARE THEY GOING TO ANNOUNCE PRICE’S FOR MATCH DAY TICKETS ? WILL AWAY SUPPORTERS GET CONCESSION PRICE’S AS WE WILL AT THEIR GROUND ?? That’s an interesting comment from Dave Penrose, do we know if away supporters will get concessions!! Would that leave city supporters open to take legal action against the club if that happened?? If city allow concessions to away supporters,surely they will leave themselves open to trading standards action. Clear, concise and to the point as always. Well done HCST. 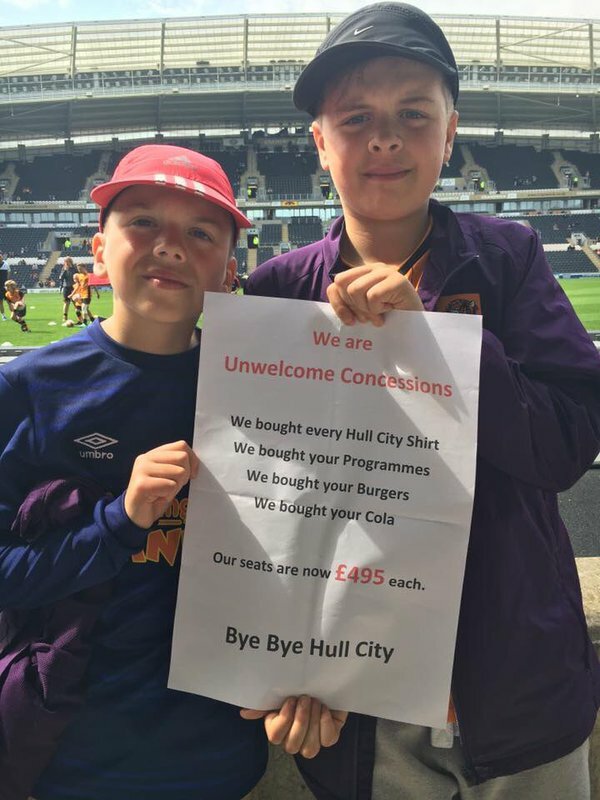 So much for the promise of cheap and affordable football to the city of Hull. Of the 6000 pass holders who have renewed, what percentage of these supporters are paying less for their seats. Well written letter to the nonsense written by one of owners. I didn’t renew my season pass this season because I was totally fed up with the lies, deceit and utter contempt emanating from the Allams. This membership scheme really takes the biscuit in terms of its sheer audacity and the contempt in which we the fans of the club are held by this family. I really fear for the future of the club – without youngsters coming through where will our support be ultimately? Up that famous creek minus the paddle! I like many others who joined this debate have supported the club for 30 plus years most as a pass holder. I have earned my stripes many times over. I’m very sad that the club seems to be in self destruct mode and cannot see beyond the noses of the owners. All it would take is for the Allams to front up and admit that this is a huge mistake and get some folks around the table to salvage a sensible solution. Sadly, I have no faith in the Allams to do the right thing. My message to them – go and go now before you completely destroy the club I and many others love. The whole issue of improving atmosphere is something you have to experience to understand. Having Leeds fans between two blocks of city fans created atmosphere because they were all shouting at each other. Eleven people from Bournemouth or Brentford at the top of the west stand who is going to bother. it would have been so simple with todays technology to have a turn style for kids/Pensioners that would only take a kid’s or pensioners ticket with a steward manning the turnstyle and if anyone trying to use the turnstyle who shouldnt be NO ADMITTANCE simple’s. A fantastic response. Sadly, I have not renewed my season ticket after thirty-five years along with my three kids, Dad (Senior Member and supporter of sixty-years) and my brother-in-law. Rotherham was my final match until these tyrants sell up and do what is right for the City. HCST, you have my full support, a credit to the City and supporters, you have conducted yourselves since this deplorable scheme was introduced in a accomplished manner. To all supporters, stay strong, whatever league we play in next season resist from joining the 2016/17 membership scheme, otherwise you are selling your soul and everything a decent person stands for. A well constructed letter, factual and asking for responses to perfectly reasonable questions. Well done HCST. I have sold my soul and renewed my ticket. I would guess the 6000 (probably nearer 5000) are those who are better off, or don’t want to lose their seat. Whoever came up with this 14% figure needs rogering with a large stick. There are lies, damn lies and statistics. When my lad doesn’t go, I lend his ticket to a friend. He is a pensioner. He always buys a pie and a pint, so the club actually get more income in this instance. Why do football clubs attract these type of owners? Our friendly sports clothing outlet owner seems to do exactly the same thing in the North East. Anything to upset the fans. I wish I could have the same membership scheme as the current owners. After supposedly saving the club, I understand they now take a monthly interest payment from the club, way above anything they could get in a bank. Then will expect to get every penny back when they sell the club. I can’t see them walking away without getting their money. Can I have all the money back I have put into City? No chance. HCST keep up the good work. An excellent letter with some very pertinent points. When the Allam family rescued my club some six years or so ago I was able to shake Mr Allam senior by the hand and express my gratitude personally. I now feel that both be and his son have betrayed the trust that I placed in them. I have been a loyal supporter of the Tigers for over 50 years and a season ticket for over 30. But, alas, no more. I know that my views are irrelevant because he has told me so. 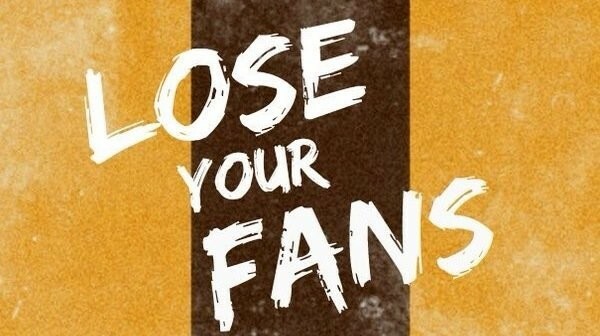 Like so many more of my fellow Senior Tigers and 500 club members it is with great reluctance and sadness that my time as a supporter has come to an end and to say good bye!. What is happening to members of the 500 club who paid a thousand pounds for privileges they never/rarely received plus a seat for life who are being moved. I could have had a seat at the Stadium of Light for £290 this season instead of £600 plus with the parking fee which is a waste of time as often nobody to direct you or no spaces left. Also surface is terrible when in a wheelchair. End of rant as heading to watch Fellowship of the Ring as I dropped off to sleep and woke up to see Sean Bean going over the waterfall in his burial boat!